Additional technical specifications for first surface mirror are available from Optical Mirror. 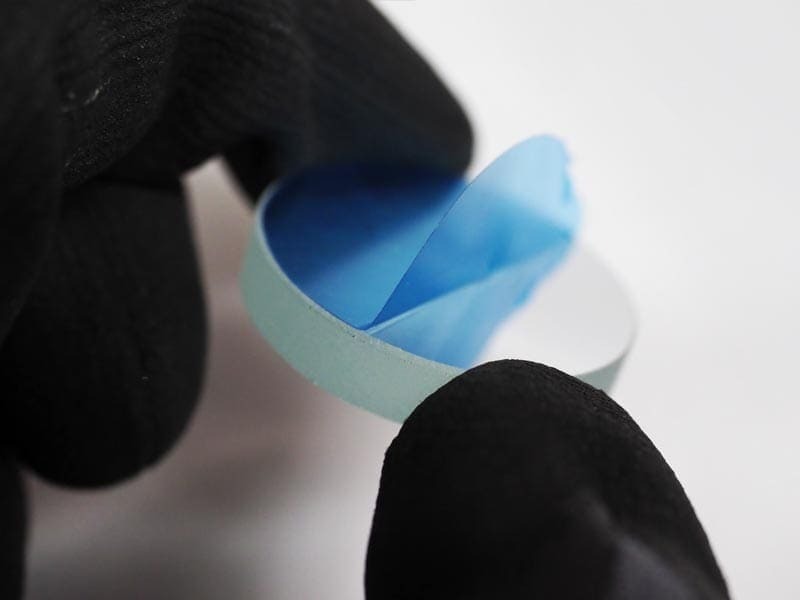 What is a first surface mirror? 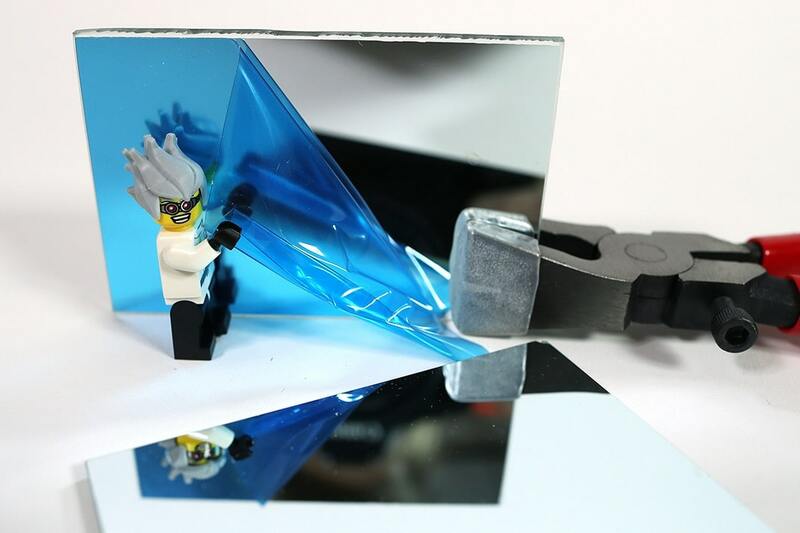 A first surface mirror, also known as front surface mirror, has an optical grade mirror coating on top of the glass. It maximizes reflection and minimizes distortion. First surface mirrors are ideal for applications that need a flawless reflection with no ghosting. A double-image is typical in standard mirrors (second surface mirror). Custom shapes available, send us a diagram for pricing. 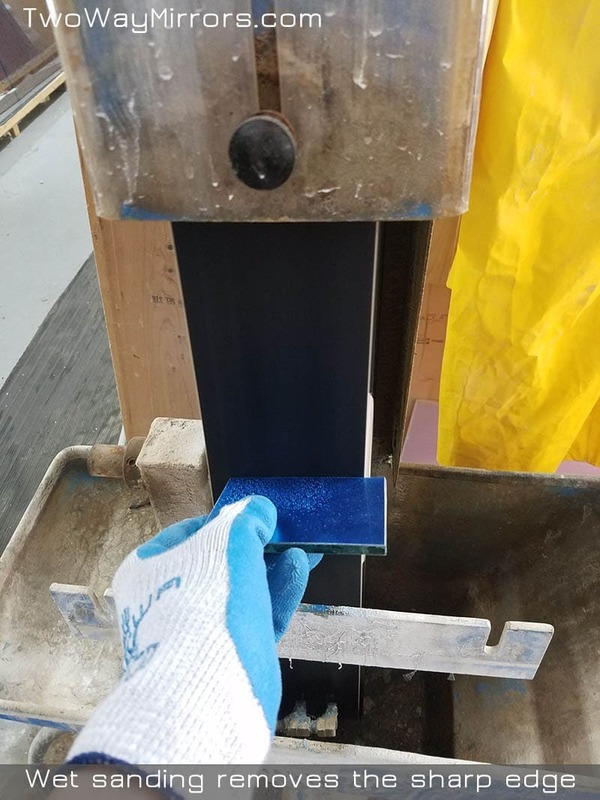 First surface mirror glass is wet sanded to remove the sharp edge. 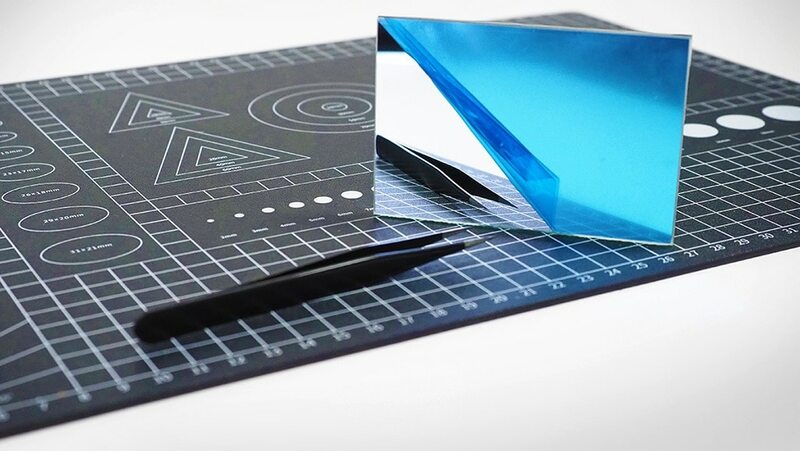 Optical Grade First Surface Mirror Glass, also known as front surface mirror with protective blue laminate pulled back exposing front surface of mirror. 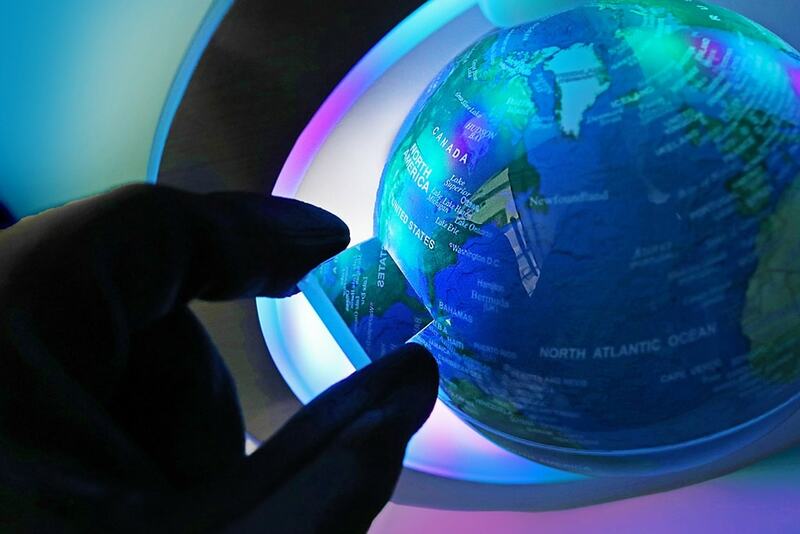 This scienentific glass is used for many applications including projectors, flight simulators, periscopes, optics, lasers, physics, hollywood special effects ophthalmology, dental mirrors high speed photography and more. One Inche Diameter Glass First Surface Mirror quater of an inch thiickness one wave with polished edges. 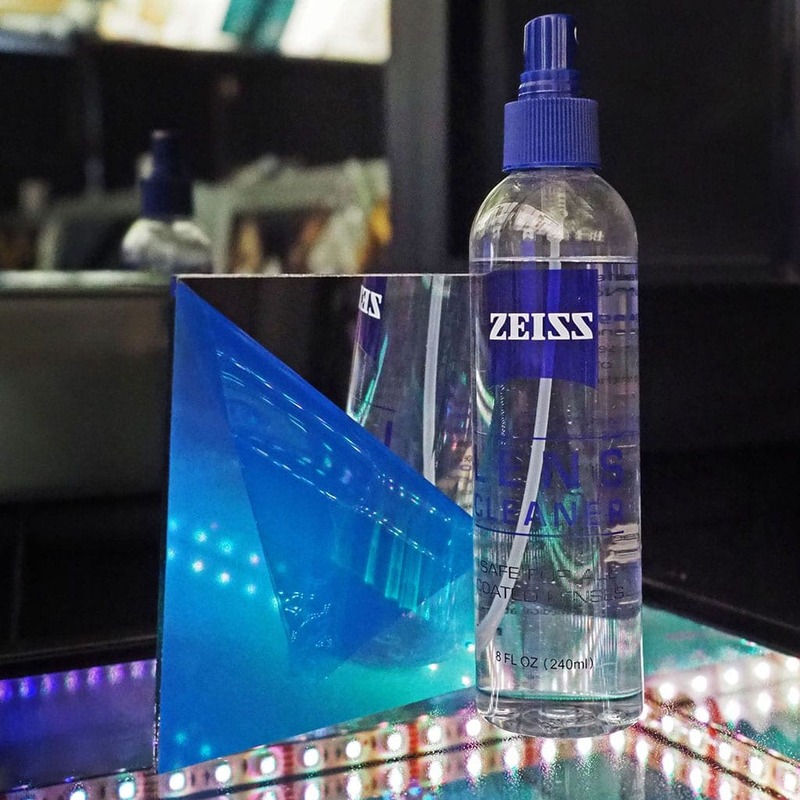 The glass first surface mirror is sitting next to the zeiss cleaner, the cleaning solution we recommend for gentle cleansing. Where can I find the technical specifications? How does the acrylic compare to the glass? The glass is optical grade, so we recommend that over the acrylic for most applications. 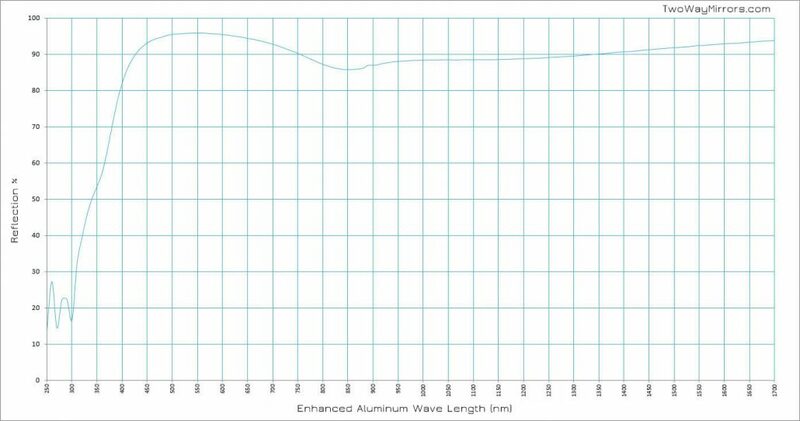 The 1/4″ glass is our best value–the added thickness of the glass provides a much better flatness than thinner glass. 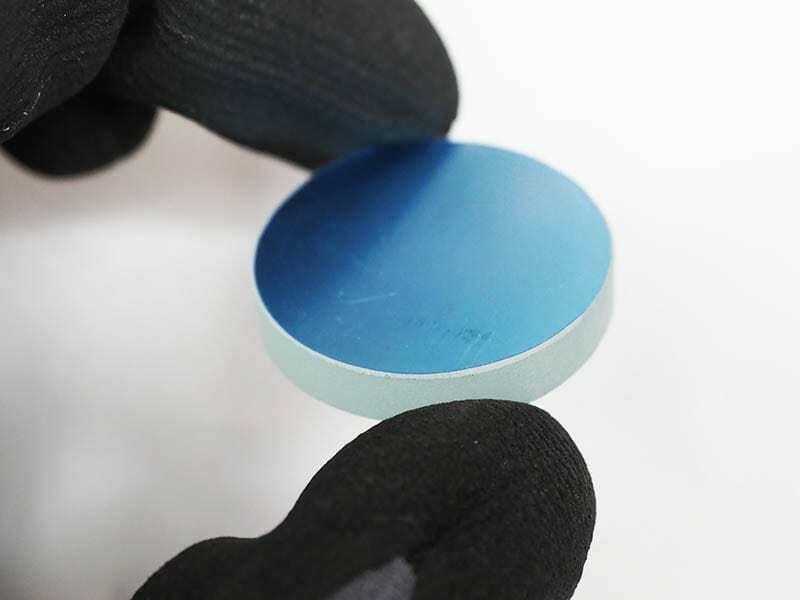 Our standard 1/4″ thickness is extremely fine quality, but for applications requiring a magnification of over 15x, the quarter wave first surface mirror is noticeably better. What's the largest size you can make? How likely is it that my glass will break in the shipping? We are experts at packaging glass so that it doesn’t break. In the unlikely event it should break, the glass is fully insured–just send us photos of the box and broken mirror and we will send replacements. Shipping internationally is our specialty. Duties and taxes are billed separately on delivery. How can I clean the mirrors? 50% isopropyl alcohol (lens cleaner) and KimWipes are the best, to avoid streaks and scratches.